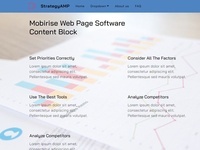 Schedule block is one of the most useful blocks among the others in Mobirise SportAMP Template. 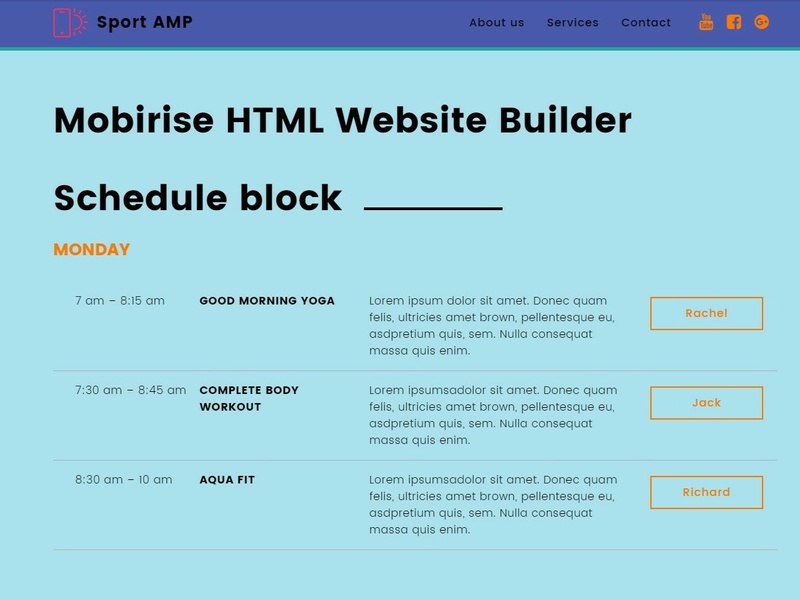 With this block, you can present the time of exercises. Here you can set the number of raws and their paddings. Its strict structure creates exquisite rhyme in the position of elements.